The 33-year-old record producer - whose real name is Shahid Khan - can't wait for fans of the 'Call My Name' hitmaker to hear the "great" track they've produced together. 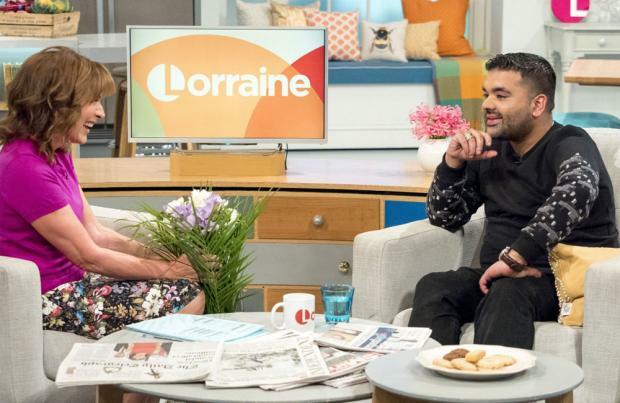 Appearing on 'Lorraine' on Wednesday (30.01.18), he said: "She is a lovely girl. We have recently met and we have written a song for her new album and we are really happy. "She is her own entity and she is in a good place. "People are wanting her to come back and hear what she can do next." Referring TV talent shows like 'The X Factor', he said: "I feel there's still someone out there who's not ready to apply for a TV show. That's what I'm ready to hear. "From meeting Emeli Sande and Sam Smith you understand what real talent is, and it's not chasing anything, it's an innate desire for your music to live."